Small businesses have it especially tough nowadays, and a large percentage of them don’t even make it past the first year, which is why many are looking to buy affordable SEO services that can aggressively expand their customer base. This is, generally speaking, the right approach. Many small business owners’ dream is to passively generate revenue even in their sleep, and a solid affordable SEO service can accomplish that. The thing is, many business owners already embraced the fact that SEO plays (and will continue to play) a fundamental role in the future of their business. So, they have already invested serious money into it, putting a newer business in an obvious disadvantage. Before you decide if your business needs an affordable SEO ranking packages that can cut the gap between you and your competitors, it’s important we understand exactly what SEO is, and its different ranking doctrines and methods. Let’s quickly define what SEO means: Search Engine Optimization is the universe of efforts that are made to improve the rankings of a website in a search engine (mainly Google) for a group of keywords. For small businesses, you’ve (hopefully!) made all the research needed to determine that there’s a demand for your products before starting an SEO campaign. Once you’ve determined that there’s a demand for your products, you’ll want to reach out to as many prospects as possible, and the internet is perfect for that. The first step before you buy affordable SEO services for your small business is to find out what keywords your target market is using to find your products. Then, you buy affordable SEO services that allow you to position your website in the Search Engine Result Pages (SERPs) for these keywords. Well, not exactly. This is where things start to get a little more complicated because there are actually different approaches on how to boost a website’s rank. These doctrines are: Whitehat SEO, Blackhat SEO, and Greyhat SEO. Whitehat SEO is completely compliant with Google’s rules, Blackhat SEO is mostly the fastest way to achieve your goals and Greyhat SEO is all about Blackhat tactics that mimic Whitehat tactics. We’re going to quickly go over Whitehat and Blackhat and what they are so you have an idea of what’s best for your business. Whitehat SEO is all about standard internet marketing: you develop content and you very slowly (but surely) share it across influencers, guest posts, and communities so you can start climbing the SERPS naturally. The thing is, Whitehat SEO is not usually affordable SEO for small business. This approach to ranking requires high-quality connections with topic-relevant, high authority sites. The content is never automated (you usually have to hire experienced copywriters for this) and you have to actively prospect possible backlink opportunities and negotiate with website owners or other SEO experts (which can be time-consuming and difficult). Bottom-line is, it’s very expensive stuff (contracts range from $1500 to $5000 or more depending on how difficult it is to rank for the desired keywords), and it’s why many small businesses buy affordable SEO services in the Blackhat market. Blackhat SEO has evolved throughout the years, nowadays it mimics Whitehat SEO so well that it’s often referred to as “Greyhat SEO” (however, strictly speaking, it’s Blackhat as well). This approach is considerably cheaper than their Whitehat counterpart, and when small businesses think it’s time to buy affordable SEO services, they often realize that Blackhat campaigns conducted by professionals offer great results in a short amount of time for a fraction of what Whitehat SEO services costs. So why isn’t everyone conducting Blackhat campaigns? Well, in our experience, TONS of small, medium and even large size companies are currently doing some sort of Blackhat SEO but they just keep quiet about it. Let’s face it: competition is ferocious nowadays, and businesses will do just about anything to topple their competitor and get that share of the market all to themselves. So what’s the key? If you’re going to buy affordable SEO services in the Blackhat market, let the professionals do it, get someone with tons of successful orders and requests fulfilled. There’s a reason why they’re highly sought out to. For example, have a look at Blackhatlinks stunning reviews and convince yourself about our high quality service. It’s very important to evaluate the quality of a SEO service before making a purchase else it would be a shot in the dark and might harm your website. Should I hire a Freelancer or an Agency for my SEO? This is a question as old as SEO itself. And the truth is, it largely depends on your budget and how much of a risk you’re willing to take. Hiring an SEO consultant that works in an agency usually costs a pretty penny. There are fees and tools to be considered, and while it adds that “professional” feel to your SEO campaigns (as with any other part of internet marketing) there are risks involved and they might not always get the job done. Freelancers on the other hand, can be absolutely amazing at a fraction of the cost an SEO consultant would charge you, or they could be dreadful. It’s really a hit or miss kind of situation, and ultimately, whoever you’re hiring should already have a portfolio in place. Judge his or her portfolio and if it looks good, consider if they’re right for you and your business. Our advice? Small businesses should diversify their link portfolio. Buy affordable SEO services from experts in SEO for quick results that allow your business to get some initial cash flow. Maintain your affordable SEO for small business strategy from Blackhatlinks.com for long-term results. 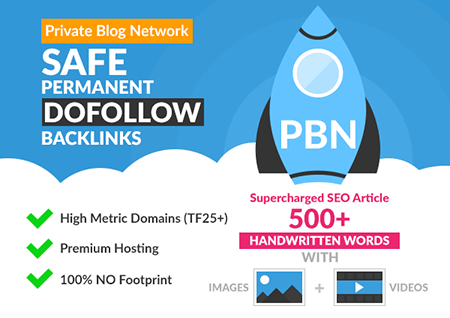 This will allow your business backlink profile to look natural in Google’s eyes and it’ll be easier for you to negotiate backlinks opportunities if you’ve already built some domain authority with Blackhatlinks.com SEO ranking packages. If you’re looking to buy affordable SEO services for your business, there are a few basic elements you need to consider and demand from your SEO consultant or freelancer. Website Responsiveness: Make sure your website is responsive. Google penalizes websites that can’t be accessed by mobile devices or tablets. Boost your site speed: Google measures how fast your page loads and ranks you accordingly. Ideally, you want this to be below three seconds. You can use a content delivery network, image compression services or plugins and a fast hosting service to lower your loading times. Page title: Start your title with your keyword, and make sure it’s wrapped in an <h1> tag. Media: Include at least one image in the first paragraph of your web content. Subheadings: make sure you divide your content in subheadings with <h2>, <h3> tags etc. It makes it easier to read and allows Google to understand what the page is about. If done correctly, you can rank for other keywords you weren’t initially targeting as well. Keyword density: make sure your keyword is in the first 100 words of your content, and keep its overall density to 1-2%. Outbound and internal linking: include at least one high authority outbound link every 500-700 words, and link 2-3 of your other pages in each blog posts or content you publish. Optimize your product’s description and Meta tags: if you’re running an e-commerce website, you should know there’s a whole specific set of on-page optimizations for your products that are too long to detail in this guide. Optimizing the product’s description and Meta tags with schema.org will net you a boost in your search engine results page rankings and it’s a good starting point for local e-commerce sites. Quick tip: Sometimes hiring a virtual assistant with proper knowledge is ideal for this task since optimizing around 100-150 product pages can be very time-consuming. Keep in mind you can write a detailed tutorial and teach a VA how to handle this task weekly. Off page SEO refers to your website’s backlink profile. A backlink profile or portfolio is the complete list of web pages on the internet that have at some point, linked to your site. It’s also one of the biggest reasons why it’s difficult to buy affordable SEO services for small business: because it’s all about establishing connections. Think about it: you’re the owner of a respectable blog, and you’ve built your community with hard work and research over the years. Any link that you share with your readers must bring them some sort of value, and it must come from a website you’re confident has good information on whatever subject you’ve decided to write about. Would you link a website of an emerging small business, or would you go with an industry’s giant reputable content? Finding these links can be difficult, especially if you don’t know anyone in your industry and you’re just beginning to let people know about you, which is the stage many small businesses are in. One of the most popular strategies in the Whitehat SEO world is to “buy” these links straight from influencers or to do “guest posts”. Guest posting is basically creating content for an influencer and asking him or her to insert a link to your website. The blogger gets his weekly content posted and you get a link, which is simple enough. However, finding a blogger that could organically link your products takes time, and so does developing content that their audience could find useful. It takes more than 12-15 working hours to write the content, find a blogger who is willing to post the content and negotiating a price. The costs per Guest Post range from $150-$700, depending on the bloggers audience. If you are not experienced in rating a guest post and its value you can easily be scammed and end with a heavily overpriced guest post. Easy way to loose a lot of money. 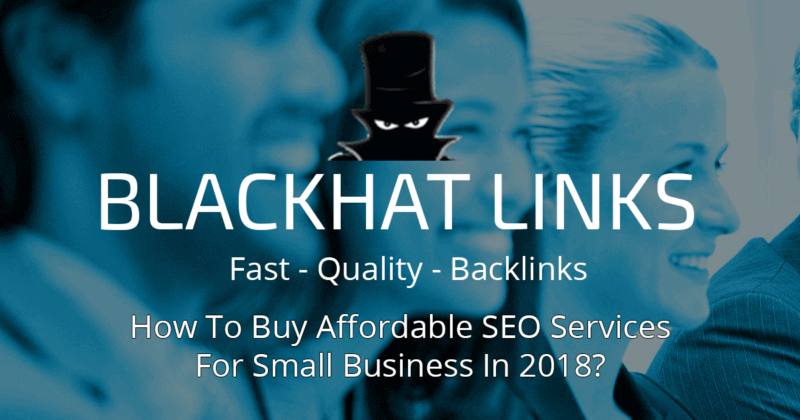 Hence, the reason why having a high quality, diversified backlink profile with Blackhatlinks.com techniques is usually the only way buy affordable SEO services for small businesses. Setting up your GMB (Google My Business) page is fairly simple: you’re going to need your business name, address, and phone number. This is commonly referred to as your business’ NAP (name, address, phone number). One quick tip is to have your default NAP in a Word document, and use this exact information for any other directories, social media platforms and review sites. Make sure your contact us page on your website has a detailed NAP information. Create individual pages for your products and services. Again, this helps Google relate your website to your products keywords. If you’re a WordPress user we recommend the WP SEO Structured Data Schema free plugin, or the Local SEO plugin by Yoast. Keep in mind Yoast’s plugin is not free. Geo-tag your images: Make sure you properly Geo-tag your images, this gives you a small SEO boost in the local SERPs for your keywords. Registering on reviews websites such as Yelp and Google Plus adds social proof for your products and services. We offer affordable SEO services at Blackhatlinks.com in the form of a Ranking Guide that your business can use to boost your local rankings. The quality of the reviews themselves is important, but this is a number’s game. Getting a large number of reviews is going to be one of the biggest ranking factors in the local search engine results pages. It’ll also generate greater interests amongst potential customers. Think about it: your water heater broke, and you’re looking for someone nearby that can visit your house and repair it. You Google and you see two local listings: a company with a detailed Google Business page and with 60+ 5 star reviews, and some unknown company with no reviews or photo. Who would you trust to repair your expensive water heater? By the way, don’t do these reviews by yourself, Google is not stupid, and they’ll likely penalize you for pumping fake reviews on your Google + page. Ask yourself this question: does my target market regularly use the internet? If the answer is yes, then you should buy affordable SEO services for your business. Affordable local SEO services’ impact is no longer a matter of debate as many businesses have invested in it and have seen their income skyrocket because of it. How much am I willing to invest in my business’ SEO? Would my business benefit from a Whitehat SEO campaign or a Blackhat SEO campaign? Whitehat SEO is expensive and ultimately depends on how good your campaign coordinator is at internet marketing, while Blackhat SEO done by professionals can be very effective in a shorter window of time. Whitehat is all about marketing and connecting with your prospects, and it’s really an art not everybody can master. Blackhat is all about raw numbers and statistics, it’s understanding Google’s algorithm and creating positive signals that allow businesses to climb the rankings quickly. Both options have their own risks and pitfalls, but Blackhatlinks.com ranking packages performed by professionals tend to be the more effective choice. Blackhatlinks.com developed an exclusive Ranking Guide that is only available on this website! The Ranking Guide is designed for customers with no or just a small knowledge about SEO but with a real intention to rank your business website to the top of Google. The Ranking Guide provides a quick and easy order process everybody understands. Even when you are not familiar with SEO, you can now order the complete SEO for your company with a click of a button. SEO has never been easier for business owners! Just fill the order details and hit the purchase button. Everything else is handled by Blackhatlinks.com. You do not need a deeper understanding of SEO or Link Building. This Ranking Guide is perfect for your business to increase sales and make more profit. We hope you’ve enjoyed this short guide on small business SEO. There’s a lot more ground to cover, especially for local e-commerce websites, but these tips and tricks should get you well on your way to better rankings in the SERPs.